Today is my last full day on the Fairweather and tomorrow I will be departing when we dock in Seward, Alaska. I could not have asked for a better final day! But first, yesterday I went out on a launch to survey a near shore polygon. Let me explain. 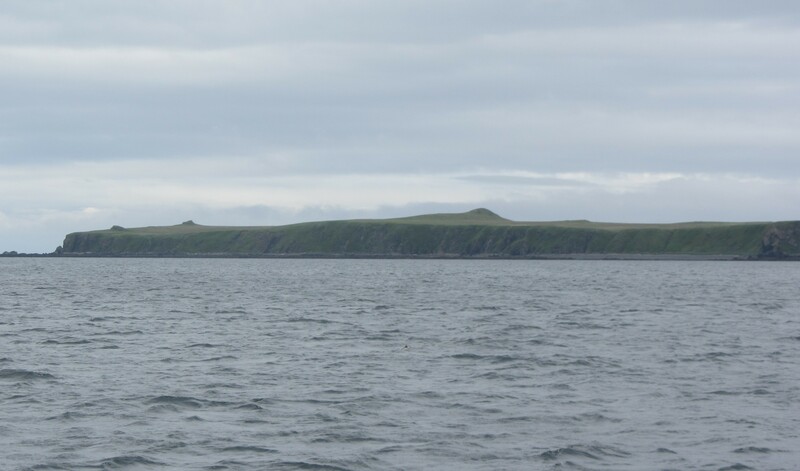 A project is the survey area that the Fairweather is tasked with, in this case, Sitkinak Strait. The project is then broken down into sheets which are areas to cover each day. The sheets are divided into areas called polygons and each day, the launches will be tasked with surveying specific polygons. Yesterday, our polygon was very close to shore. This was difficult because the rocks and vegetation could be hazards. The surveyor in charge, Pat, had to be in constant communication with our launch driver Rick so that they could maneuver safely as we used the multi-beam sonar to scan the area. Since we were so close to shore I kept a steady scan of the landscape for bears. I did this not because we were too close and in danger from a bear, but just because I wanted to see one. We accomplished our task and finished our polygons and did not see a bear, but we did see a brown fox walking along the black sand beach! Now, for today. I did tide observations in Japanese Bay and as we were setting up I snapped this picture of a bald eagle in flight with prey in its claws, possibly some kind of rodent since it appears to have a tail! (Click on the picture to see it better) We took tide observations which were interesting today for three reasons. First, the tide level was totally different than it was last week when I took measurements. If you look at the two pictures below, one from June 28th and the other from today, July 2nd, you can see how much lower the tide is. Look at how close to the staff I was today and how far away last week. The water actually went lower than the tide staff today! Earth Science is so interesting. 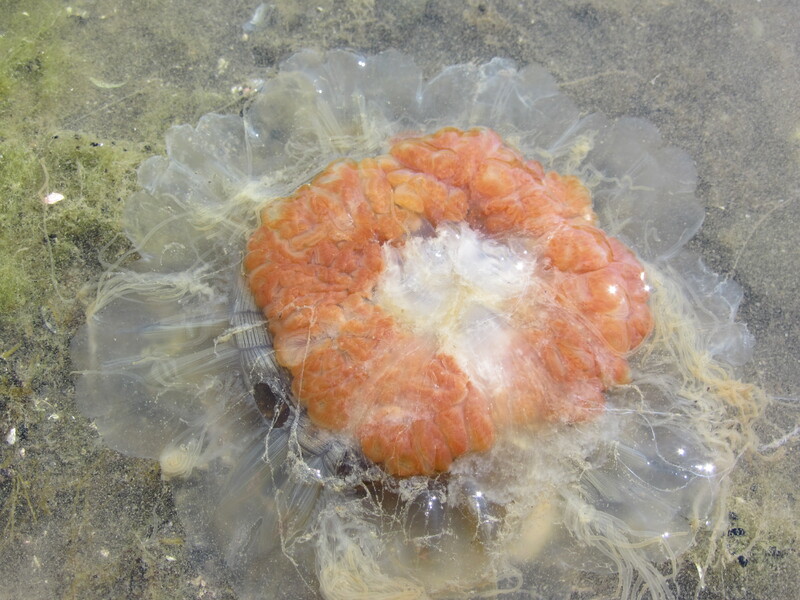 Now, the second and third reason I found tide observations so cool today did not have anything to do with the tides. It was all about the animals. And no, it did not involve a bear. Second reason it was interesting was the bald eagle in the picture above. I just love how I was able to capture it with its wings spread so majestically. It has a nest in the tree that it was flying into. 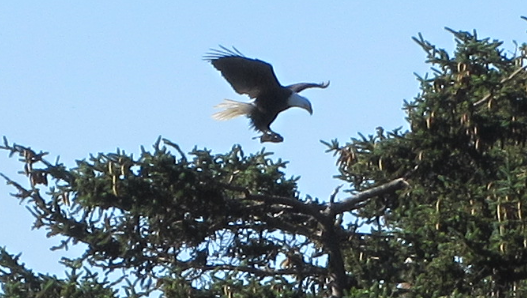 Since it was carrying lunch in its claws, I thought maybe it was taking food to the nest to feed baby eagles. What do you think? 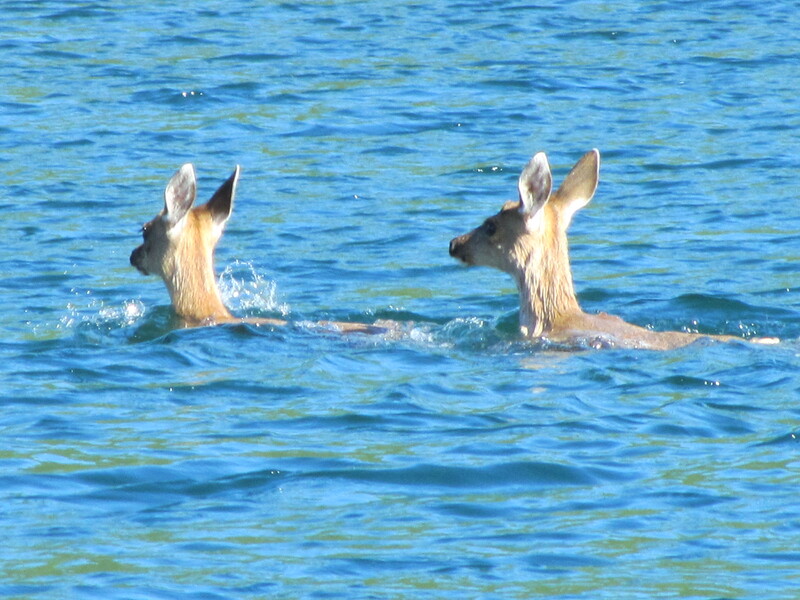 Now, third reason tide observations in Japanese Bay were so cool today was because of swimming deer! I know I should have led with that but I knew it would be pretty awesome to put a swimming deer video into the middle of my blog. The video is a little jumpy because I was fighting the waves in a small boat called a skiff. Check out the video! Before I thought to start videotaping I was able to capture a picture of them swimming! Swimming Deer. 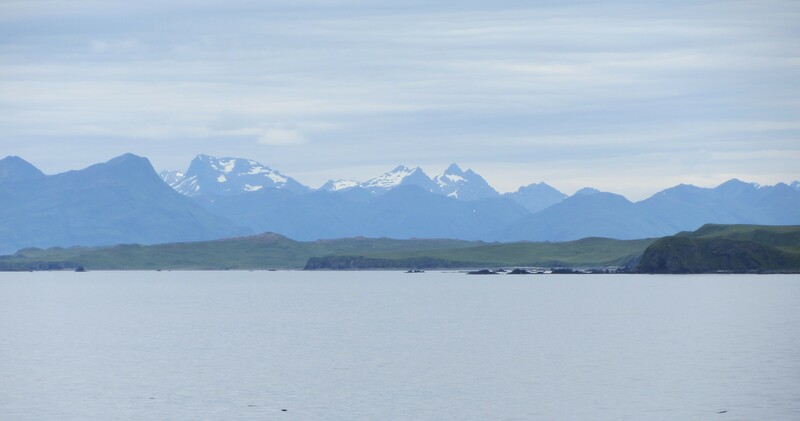 Japanese Bay, Kodiak Island, Alaska. 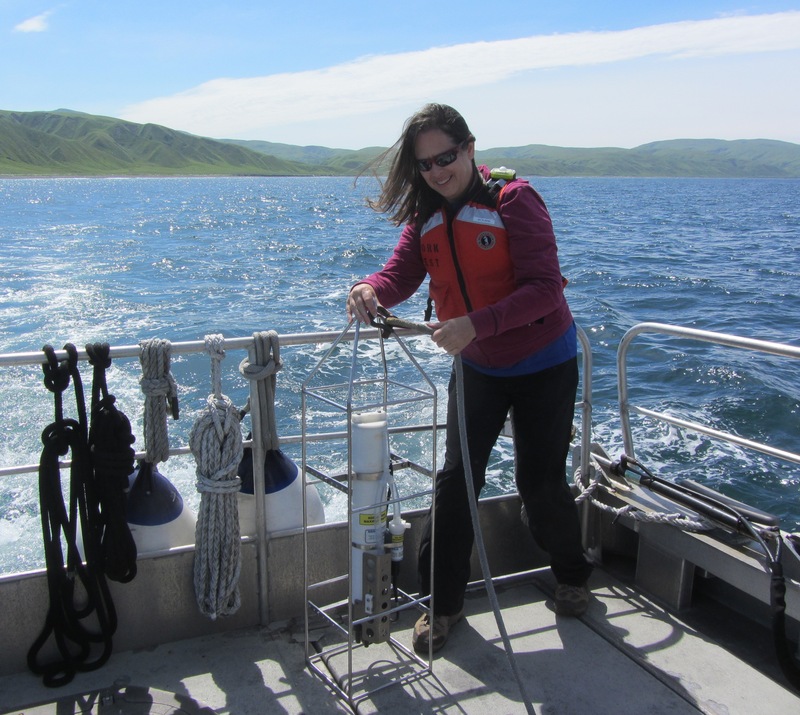 Scientist of the Day Today I would like you to meet Shauna Glasser, a First Assistant Engineer for NOAA who is currently aboard the Fairweather. It’s old hat for Shauna to travel wherever the Fairweather may take her. Growing up, she moved so many times that college was the first school she went to for four years in a row! Even though she moved often she still managed to be successful in her academics. She received a BA in Marine Engineering Technology from California Maritime Academy but it was by chance that she even enrolled there. As a senior in high school she received a postcard in the mail from this college. Knowing nothing about the school, Shauna decided to visit the school for a week long introduction program to see their campus and curriculum. She knew she wanted to be a marine biologist and she enrolled. However, before college began, her math teacher from high school recommended she take a summer class in chemical engineering. Shauna always excelled in math and she really liked the engineering, but not so much the chemical side. 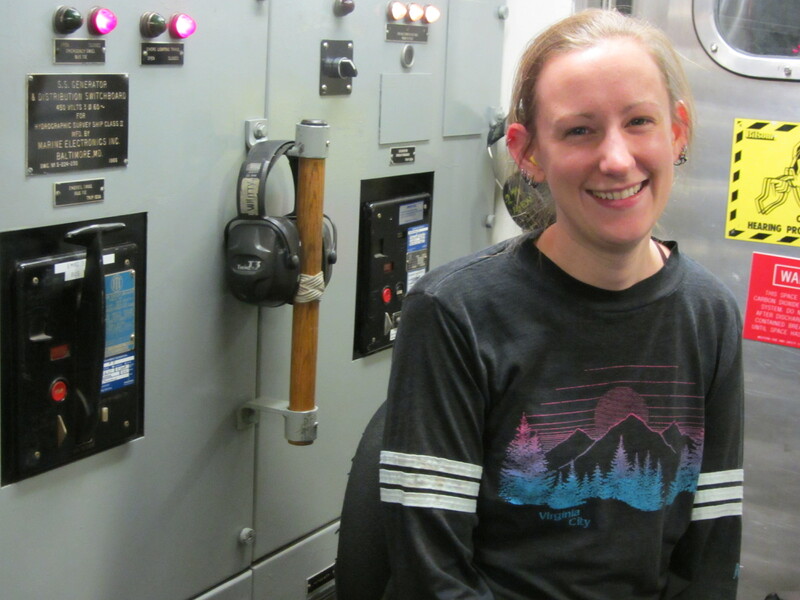 She soon switched paths from marine biology and became a marine engineering major. My day today is ending just as magical as it began with several more animal sightings. We are underway to Seward, Alaska where I will say goodbye to the wonderful crew of the Fairweather. As we got underway we had a fire drill and then a little while later, an abandon ship drill. As the crew at my drill station were standing on the port side of the ship wearing our life jackets, hats, and in possession of our survival suits, a pod of orcas swam by spouting from their blowholes. They play and blow as they pass by our ship. Then, after dinner I am working on this blog and take a break and go to the bridge to see what’s going on. There were pods of orcas to the port side and humpback whales a mile north of us. The humpbacks were spouting and breaching. I have an out of focus picture of a whale going straight up in the air. It looks like it’s pirouetting. The crew on the bridge said that this was a large sighting of whales and everyone was excited. I begin looking at the equipment on the bridge and asking questions when I was asked if I would like to steer the ship. Nervously I said yes. They explained that it was currently on a type of ship auto pilot which they would turn off and I would take the helm, similar to a steering wheel on a car, and I would be in control of the ship’s path. Jim Klapchuk, an Able Seaman on the Fairweather, showed me what to do. I would be at the helm and would continue in the correct direction by looking at my gyroscopic compass and my rudder angle indicator. The gyroscopic compass would tell me my heading, which was 030° which would keep me going north-east. The rudder angle indicator would move every time I moved the wheel because turning the wheel turned the rudder and the rudder changes the course of the ship. Keeping this lesson in mind, they turned off the auto pilot and I was steering the 231 foot ship on a heading for Seward! I kept constantly looking at the numbers and trying to keep it at exactly 030°. After a short while, the boat felt like it was swaying a bit so I gave the helm back to Jim and they set it back to auto. What a way to end my science adventure! A warm thank you to all the crew aboard the Fairweather. I have learned so much and will take back to my classroom a new excitement along with tons of science. Terms like hydrographic, surveys, hydrographer, polygon, launch, CTD, gyroscopic compass, swells, tides, charts, cartographer and many more will be introduced. I have also enjoyed getting to know you and hearing about your lives. You are a talented group. And I learned to play cribbage – thanks Tim and Charlie! Question: But first, an answer to the last plant or animal poll. 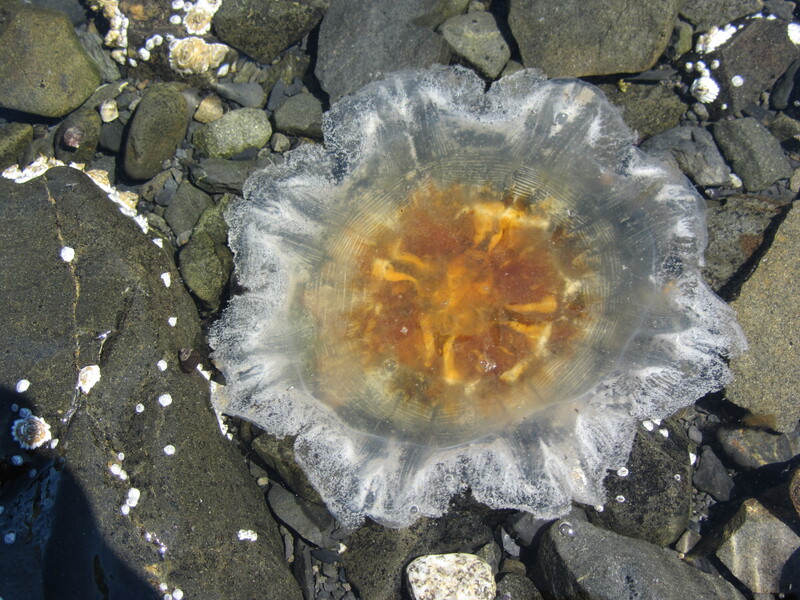 It appears that all of you know what a jellyfish looks like because you voted animal. Thanks for voting and thanks for following my blog. 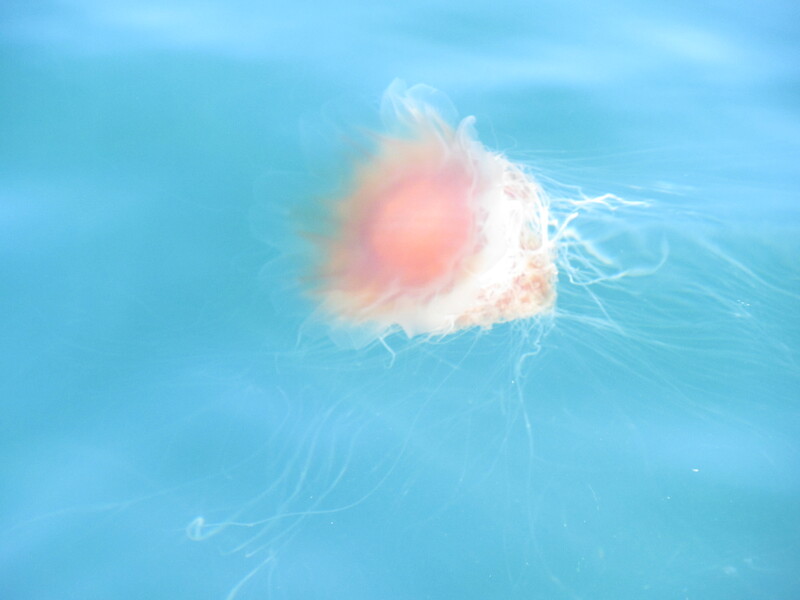 There are a lot of jellyfish here in the Gulf of Alaska and I will leave you with a few of my favorite shots. It’s amazing how each one looks so different. Which is your favorite? Vote in the poll below! Each day when I participate in hydrographic surveys I always tell the boat that today we need to see a bear. Recently, one launch survey crew saw a bear swimming in the water and it stopped and looked at them before swimming off to the land. This was my ideal situation. So yesterday I participated in a hydrographic survey and the driver got real excited for me when in the middle of a transit, he yelled that he thinks he sees two bears on the shore. As we use binoculars to see them we confirm that we have now seen…two horses! This sighting was by all accounts very interesting to the crew since no one knew that there would be wild horses on an island in Alaska. However, the day’s sightings of wild cows and horses did nothing for this Texan. Today, I did something different. I went with a survey group out in an orange work boat called an Ambar. This boat is different than the launches because it is a jet boat, which means it has an impeller versus an exposed propeller. This way, it can bring us right up to shore. We had a two-fold purpose, first to repair a horizontal control station, HorCon for short, and then to make tide observations. The HorCon station logs GPS (Global Positioning System) data. The station has a GPS atenna and recording unit, radio modem antenna for remote communications, car batteries to power everything, and solar panels to charge the batteries.The antennas are on a fixed tripod. For this piece of equipment, the higher the better! It allows us to achieve better horizontal and vertical positioning for our multi-beam data. It tracks the satellites overhead, the same as our survey launches do, but since it is in a known position we can use these data to remove any atmospheric interference. We hike a large cliff and at the top is the HorCon station. As we crest the hill, it is Joe in the lead, then Joy, then me. Joe says stop, there’s a bear on the ridge, and it’s only about 200 feet away! We quickly gather together to look bigger to the bear and it decides to amble away over the ridge. Then, two baby cubs that we hadn’t seen go following behind her! My day is made perfect. 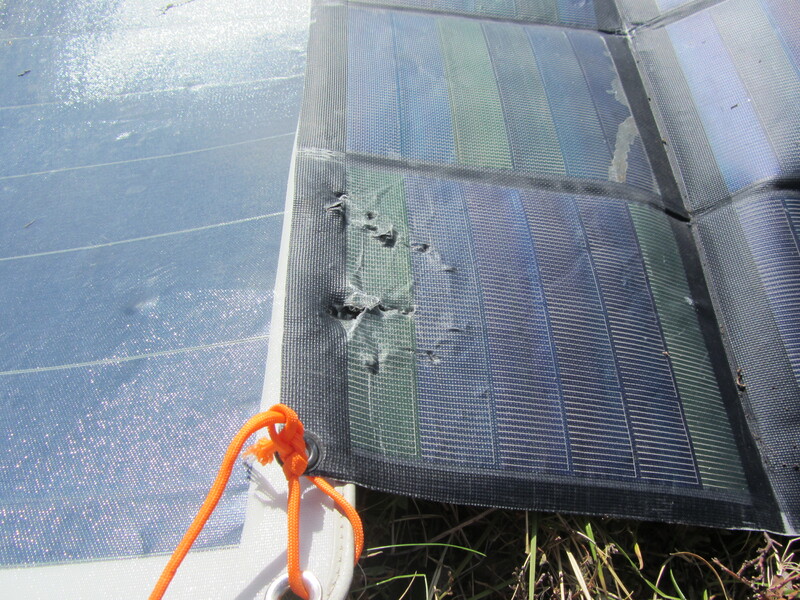 When we get to the horizontal control station we find out it wasn’t working because the bear had chewed the solar panels and pulled a cord out of the primary antenna. Check out the huge bite mark in the picture above! Joe repaired the cord, made sure the other solar panels were still connected, and we had the station up and communicating. First mission accomplished then off to do tide observations. Mostly, this consist of sitting on the beach and recording the current water level every six minutes. It was a beautiful sunny day and Japanese Bay, Alaska was the ideal place to be. 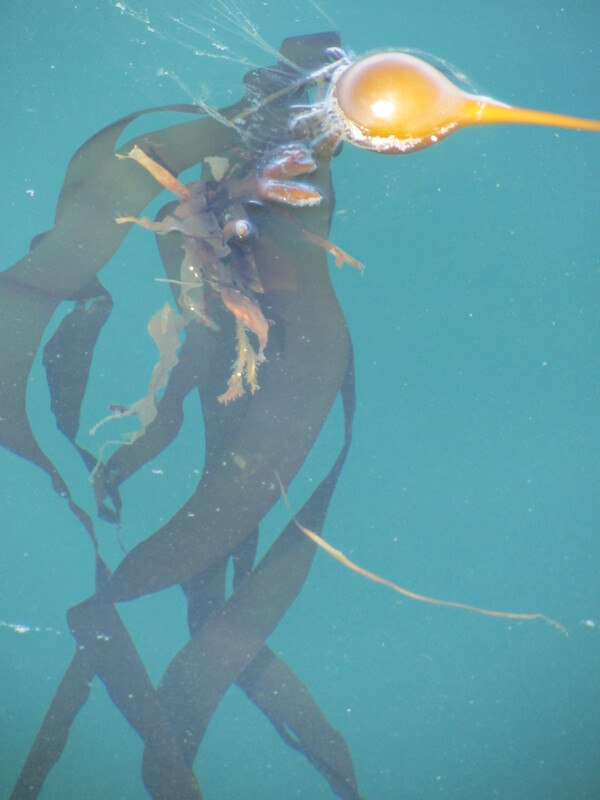 On shore there is a gauge, tripod and antenna with a wire that attaches to an orifice underwater. There also is a staff in the water with measurements on it. A constant flow rate of air is maintained in the orifice underwater so we can measure the pressure of the water column. More pressure = higher tide. Just think, at higher tide there is more water pushing down on it, hence more pressure. The gauge correlates pressure values with how much tide we are actually seeing. So we take staff observations over two hours and every six minutes we take a minute of readings of how high the water is on the staff. We then download the data from the gauges and compare it to our visual data. It’s important to go out every week to get readings and make sure no bear or storm has bothered it. 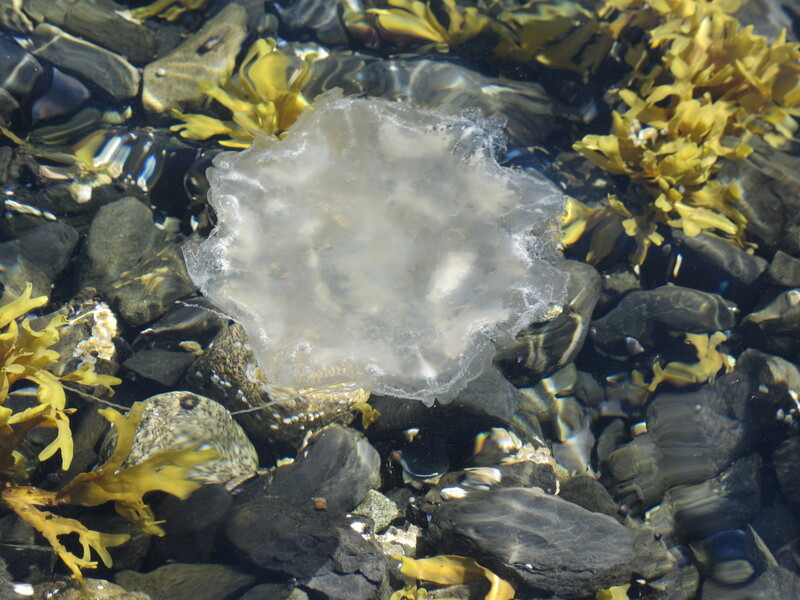 Why do tide observations every week? 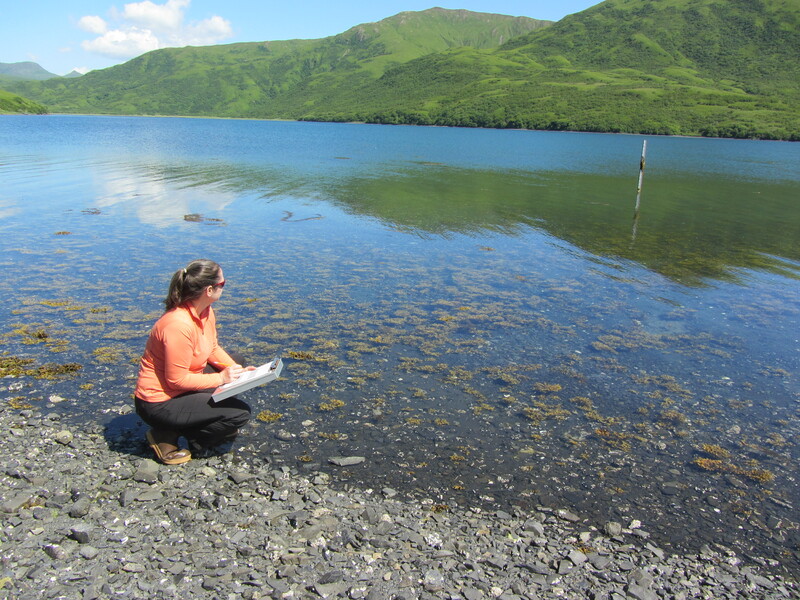 The scientists here often see tide ranges in Alaska from -5 feet to +25 feet. They need to know the correct tidal effects so when they take depth readings with the multi-beam sonar they can adjust those depths to remove tide and chart the soundings at MLLW (Mean Lower Low Water), which is the chart datum. This is because the water level is changing every day with tides and they need to be accurate. This is real important in shallow areas. 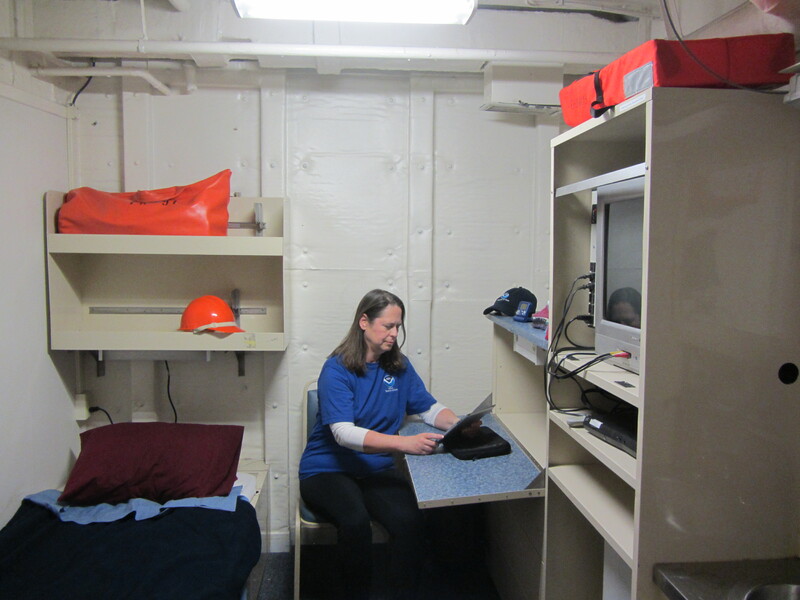 Today I would like you to meet Tami Beduhn, a Chief Survey Technician for NOAA who is currently aboard the Fairweather. 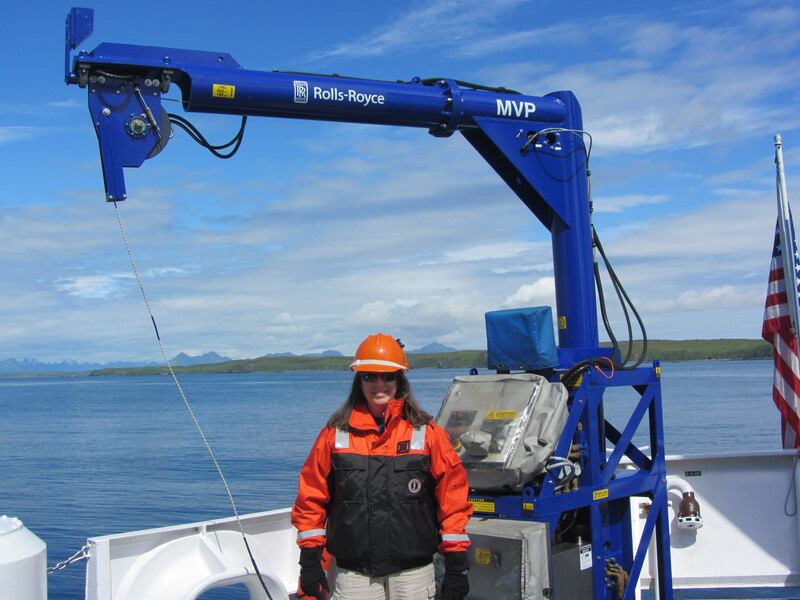 She is the head of the whole hydrographic survey department here on the Fairweather! She is not in NOAA Corps but is a wage mariner, which means she is getting sea time assigned to the Fairweather in order to get her Able Seaman credentials and she is not part of the uniformed services. 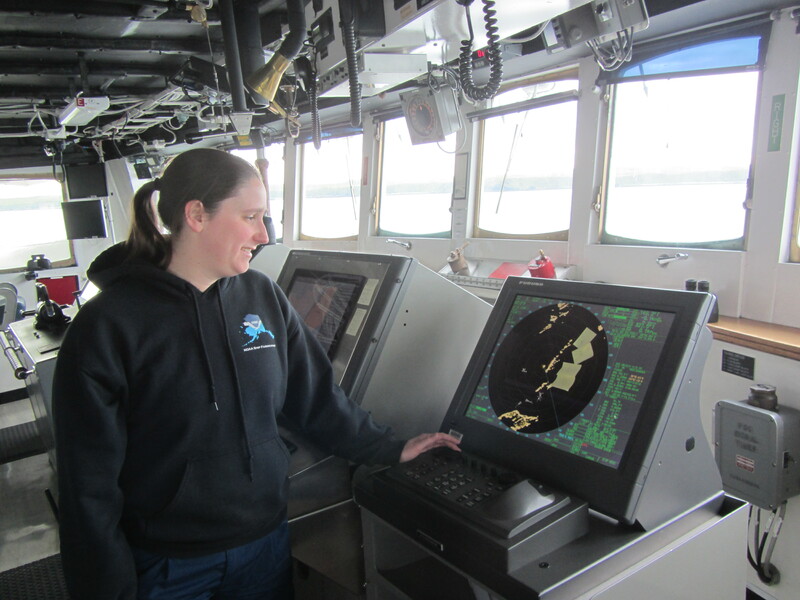 As the chief survey technician, she manages the survey department and is responsible for quality assurance and control of hydrographic data aboard the ship. The highlight of her job is training the new recruits. 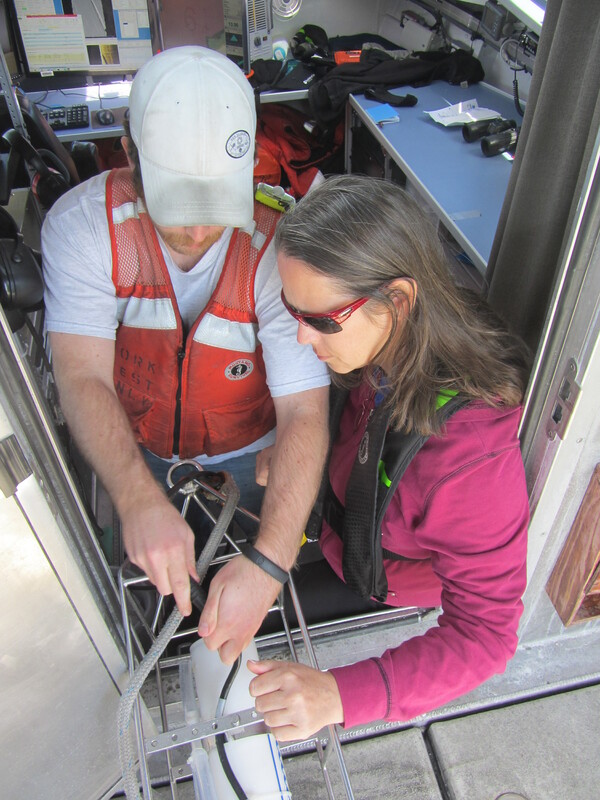 Tami believes the key to a good hydrographer is having a good attitude, good computer and math skills, and a willingness to learn. And they must enjoy teamwork since living on a ship is like having a family that works together. Tami graduated from North Carolina State University with a BS in Marine Science and a Concentration in Geology and came straight to NOAA. Here’s a woman who’s at the forefront of her field, all at the age of 27 years old! What a great day I had today! I saw a bear with her two cubs, two orcas, and three bald eagles! 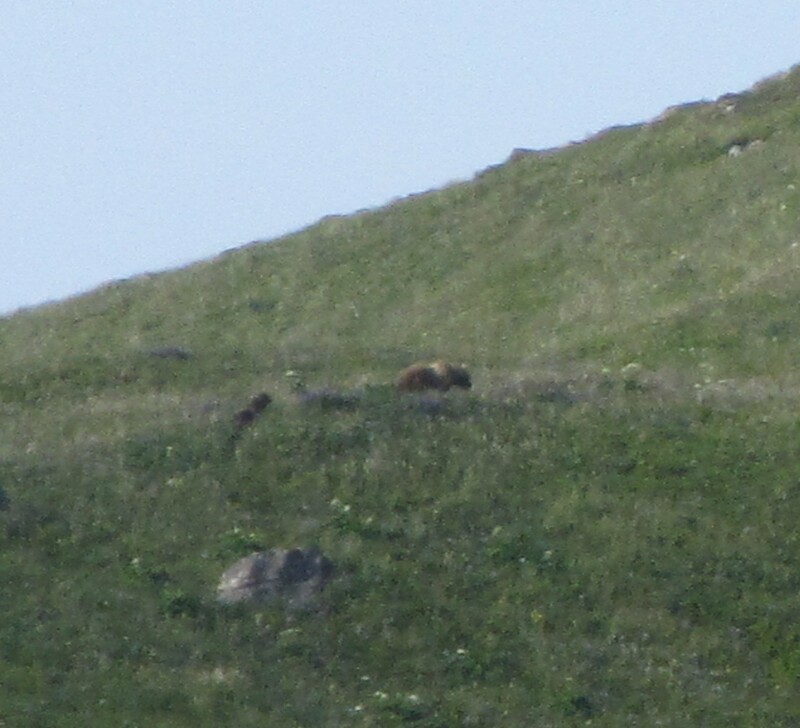 Here is a poor quality shot of the bear with her cubs below her and a little to the left. Below that is a bald eagle. The third picture is me on top of the hill after fixing the HorCon station. You can click on any picture in my blogs to see it full size. And after checking out the pictures, make sure to vote in the poll below. The weather is perfect and I even got a little sunburned today. 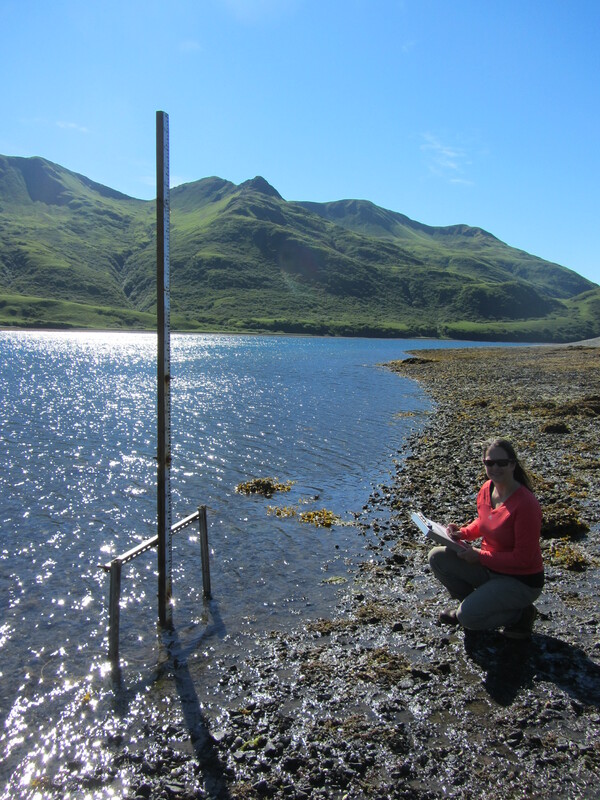 Life is good being a hydrographer in Alaska in the summertime! Question: What is this? Plant or animal? Answer in the poll below. 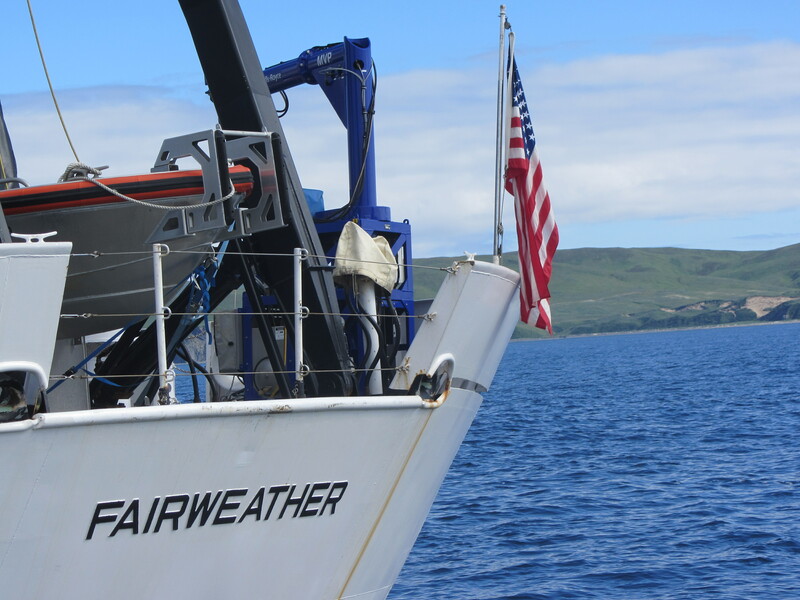 Yesterday was my first day underway on NOAA Ship Fairweather. Before I could participate in all the cool science I had to complete all the safety training. I am now ready to survive any situation on ship since I have successfully completed a fire drill, abandon ship drill, donned my survival suit, and learned how to deploy a life raft. 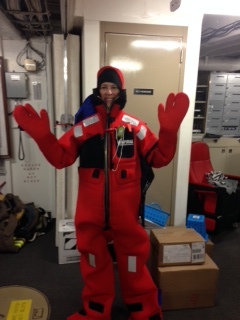 See how I look in my survival suit! Before I tell you about all the great science we’re doing, I want to address the earthquake and tsunami that hit Alaska and was widely reported yesterday. There was an 8.0 earthquake near Alaska’s Aleutian Islands, southeast of Little Sitkin Island that triggered a tsunami warning; however, only small waves hit the coastal communities. This was west of Kodiak Island and we were not affected by it. In speaking with the experts on the ship, they explained that we were safer on a ship than shore and a tsunami would roll under the ship. I wondered if it was normal to have these alerts since earthquakes happen everyday in Alaska, and veteran scientists on the Fairweather said that they had never had an earthquake with a tsunami warning before. What an exciting event on my first day! Today I was ready to go out on a launch. This is a 28 foot boat that uses a suite of hydrographic hardware and software, such as a multi-beam sonar to map assigned sections of the seafloor. I set out with Tim, who is a coxswain which means he is a small boat operator for commissioned vessels, Clint, who is a hydrographic senior survey technician and Joy, who is a hydrographic survey technician. And me, a Teacher at Sea! 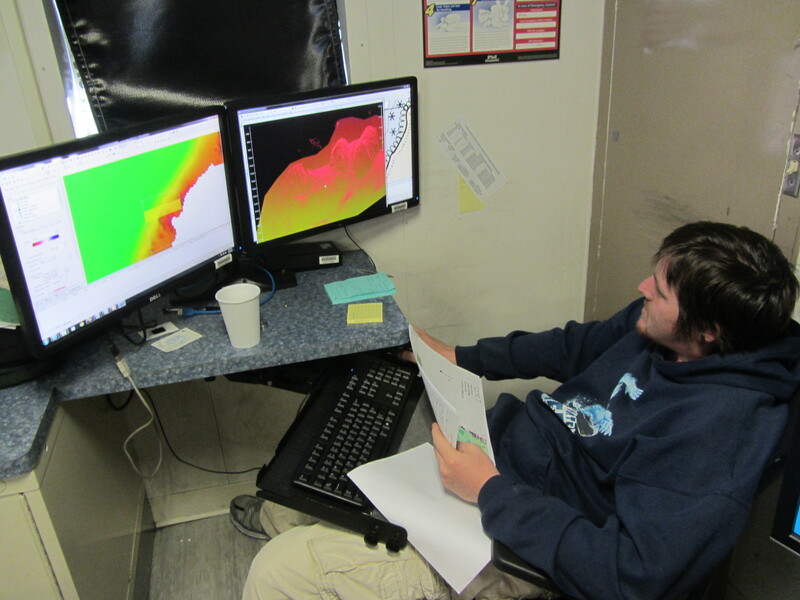 Our mission was to do cross lines of sonar mapping to check that there are no erroneous offsets between days of data. We also would pick up holidays, which are gaps in the data, and go over them with sonar. 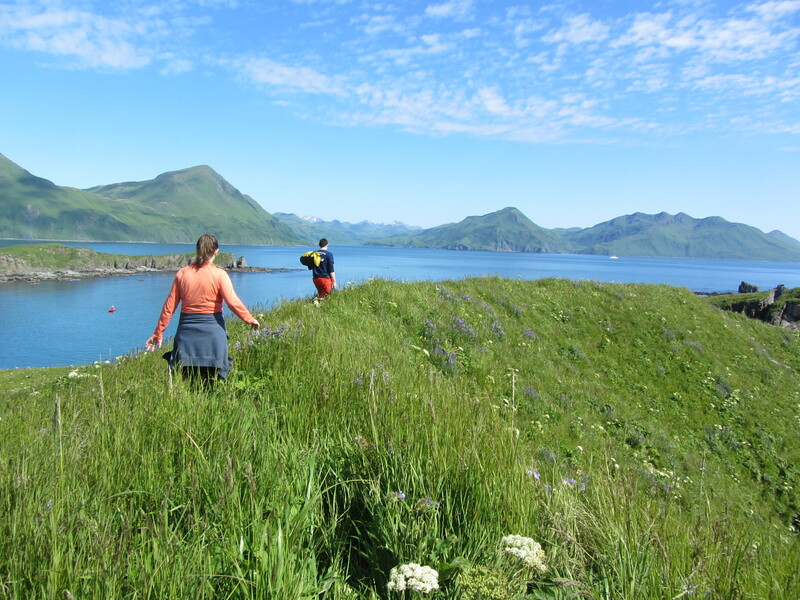 We are mapping South Kodiak Island this week and more specifically for today, we are mapping around Aiaktalik Island. 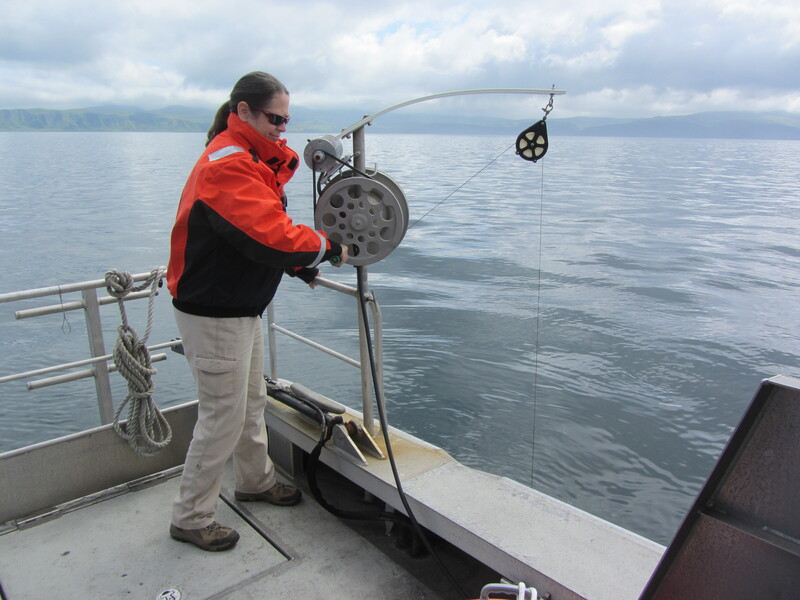 We begin by using a CTD which stands for Conductivity, Temperature, and Depth. This instrument measures conductivity, temperature, and pressure which can be used to derive the speed of sound throughout the water column. It will help to correct for refraction of the sound wave emitted from the sonar as it passes through varying layers of the water column. The multi-beam sonar sends out 512 beams at a rate of 4.5 pings per second. The number of beams is independent of water depth but the swath width is dependent on water depth. We then measure how long it takes for them to get to the bottom and back, which is called two-way travel time. The multi-beam sonar provides us with bathymetric data, which is simply a large density of depths used to generate a surface representing the seafloor. Then we record the measurements. In the picture below you will see Joy recording the data from the sonar. 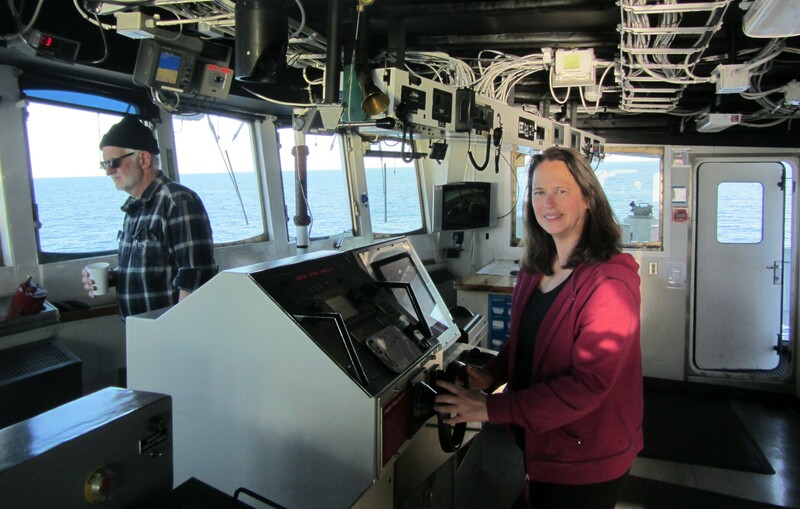 Today I would like you to meet Joy Nalley, a Hydrographic Survey Technician for NOAA who is currently aboard the Fairweather. As a girl, she was always interested in science. She said she even spent most of her childhood playing in a large magnolia tree. 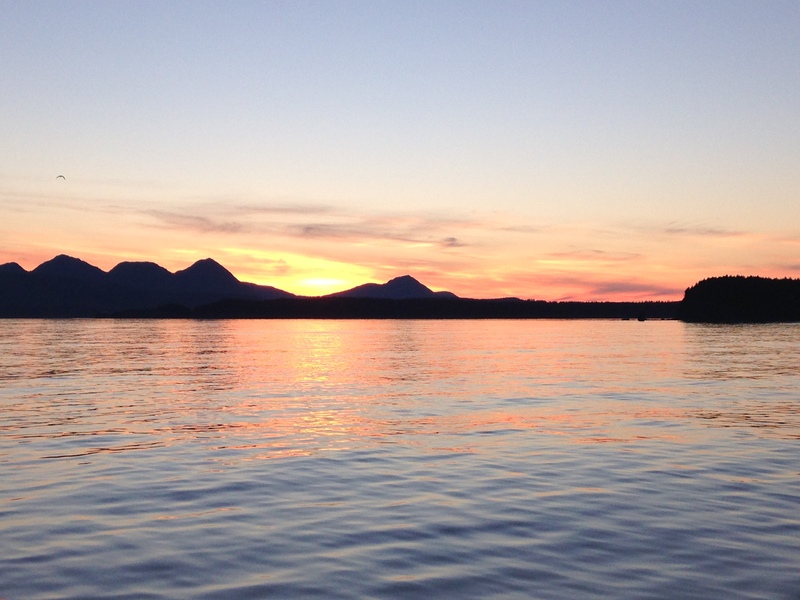 Her love of nature continued as a teenager as she spent summers on the lake. She went to the University of Alabama where she earned a BS in Environmental Science, a Minor in Geology, and a Specialization in Hydrology. During school she earned experience in her field by working in a research position and an internship. After college she did another internship in order to gain experience. Her research participation along with the internships allowed her to get an interview and subsequent job with USGS which is the United States Geological Survey. There she was a hydrologic technician for two years. This meant that she studied the water and took data from the actual water. 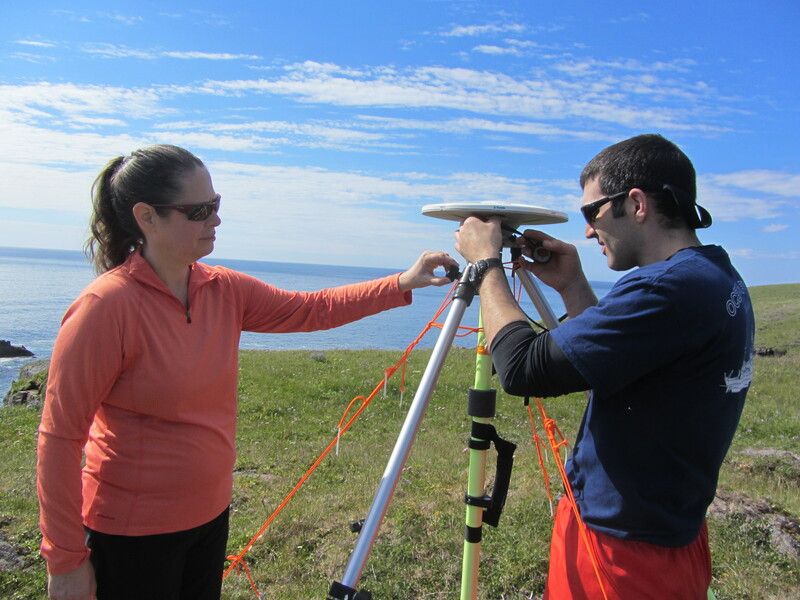 This job then lead to her current position with NOAA where she is a hydrographic survey technician. 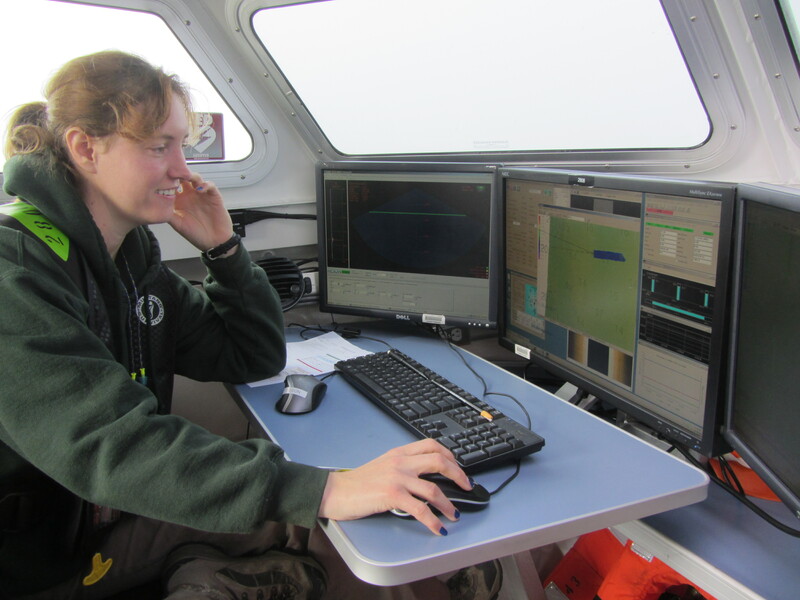 Now she takes data from the actual seafloor in order to map it. This is a relatively new field of science. 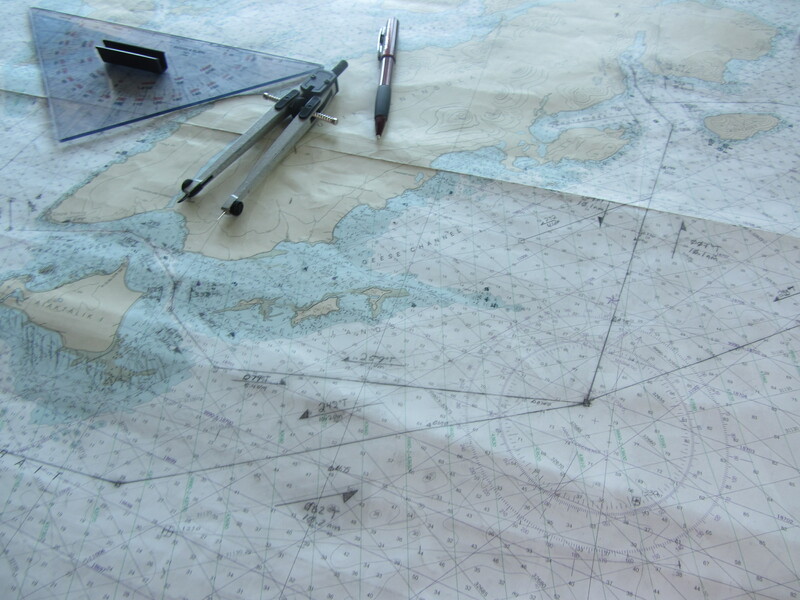 There is a lot of seafloor to map since less than 5% has been mapped this way, hence making it a desirable career. Joy says that to go into her field you should be adventurous, want to work with cool people on a team, and have an interest in marine science; then this is the career for you! I had a good first two days and survived rolling seas last night without feeling seasick. I think I have my sea legs on now! Since several of you are wondering, the food is very good. The cooks take good care of us here. 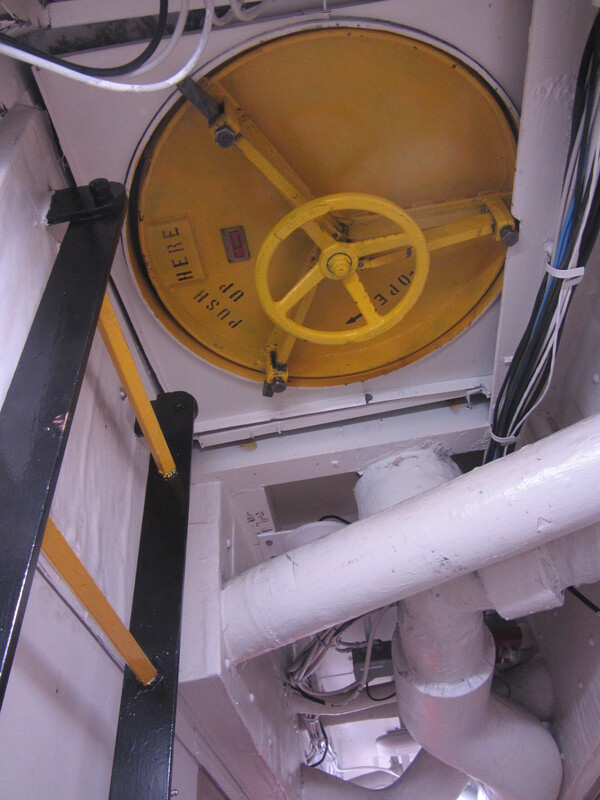 I am also getting a lot of exercise going up and down the six decks on the ship and doing the survey work on the launch. 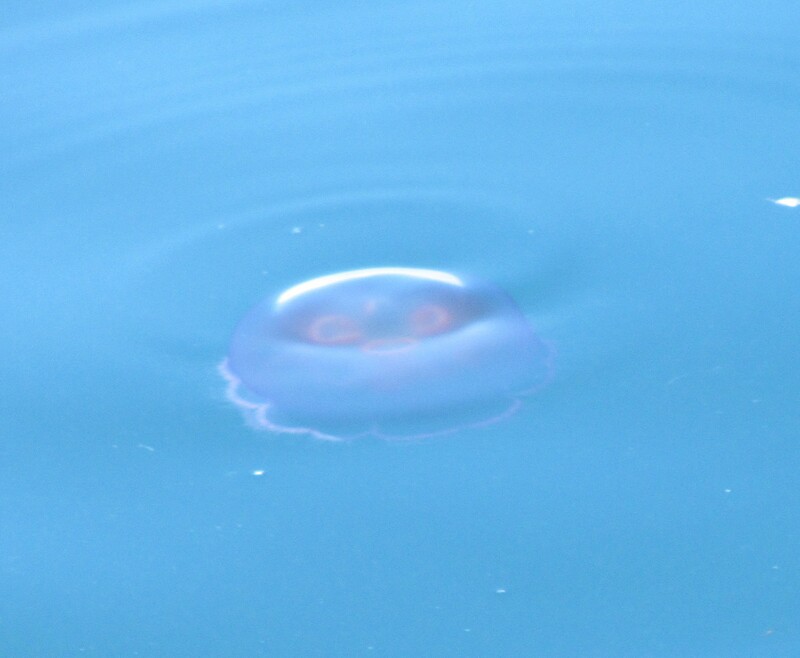 I saw many animals while out on the launch today including a harbor seal, sea gulls, puffins, multiple giant jelly fish, and a bright purple jelly fish! What a great time I’m having doing science with such a wonderful group of highly trained, experienced, and interesting crew aboard the Fairweather! 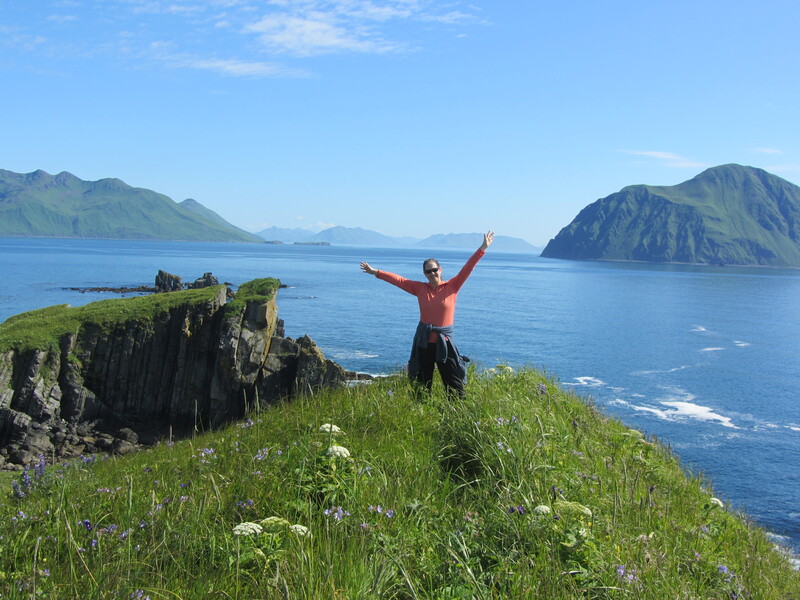 Hello, I am Dana Clark and I am writing this from my home in Dallas, Texas as I prepare to leave hot temperatures behind for the cool waters off the coast of Alaska. I teach Science to 6th and 8th grade girls at Irma Rangel Young Women’s Leadership School. I can’t wait to share this experience with all the wonderful young ladies at our school. Our campus was the first all-girls public school in the great state of Texas. We have grades 6-12 and just celebrated our 10th anniversary. I have been fortunate to be one of the two original science teachers at Irma Rangel. Our students are trailblazers and are part of a group of six public all-girls schools in Texas that emphasize mathematics, science, and technology. In May, we graduated our sixth class of seniors and I’m proud to say we have had 100% of our students accepted to a four-year college or university. Go Panthers! I was thrilled when I was selected as a NOAA Teacher at Sea and actually did a little shout and dance when I found out I was going to Alaska. (I know, the dance part is pretty scary to those who know me!) I love our oceans and the amazing ecosystem under the surface that many people don’t get to experience or know. I haven’t always been a science person. I never thought I could do science well and in college, I avoided taking a science class until my advisor told me I needed to take two science classes in order to graduate. She recommended an Oceans class for non-science majors and I was fascinated at this whole new world that opened up to me underwater. Check out what my children saw under the surface! 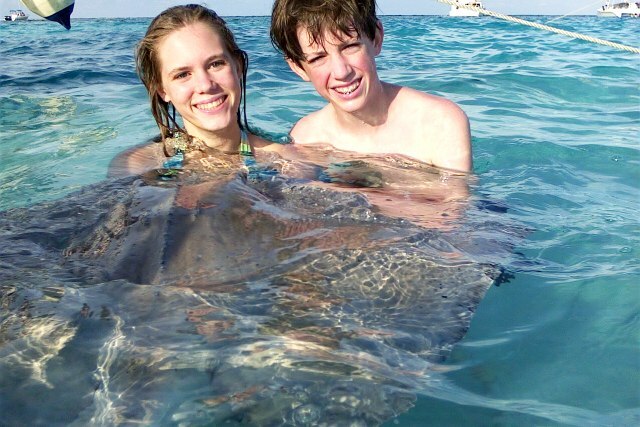 Christina and Will with very large stingray by Grand Cayman, Caribbean, 2005. After that, I used all my elective classes for Earth Science classes and the rest is history. 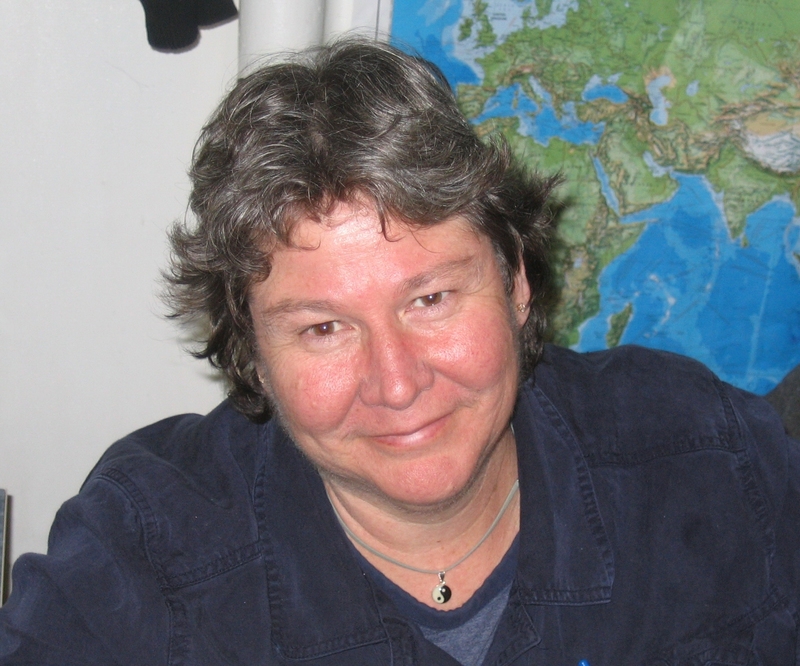 I am a science teacher that loves teaching about our dynamic Earth and the wonders from the oceans to the atmosphere. 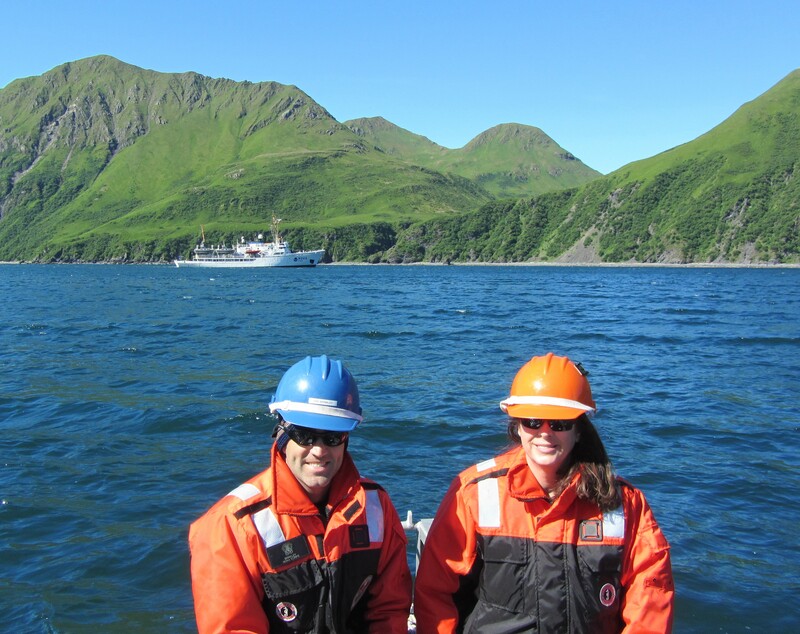 Being on a ship in Alaska doing hydrographic surveys sounds very exciting to me; first, because Alaska is a place I’ve never gotten to visit and second, because I’ve never gotten do any science with hydrography. 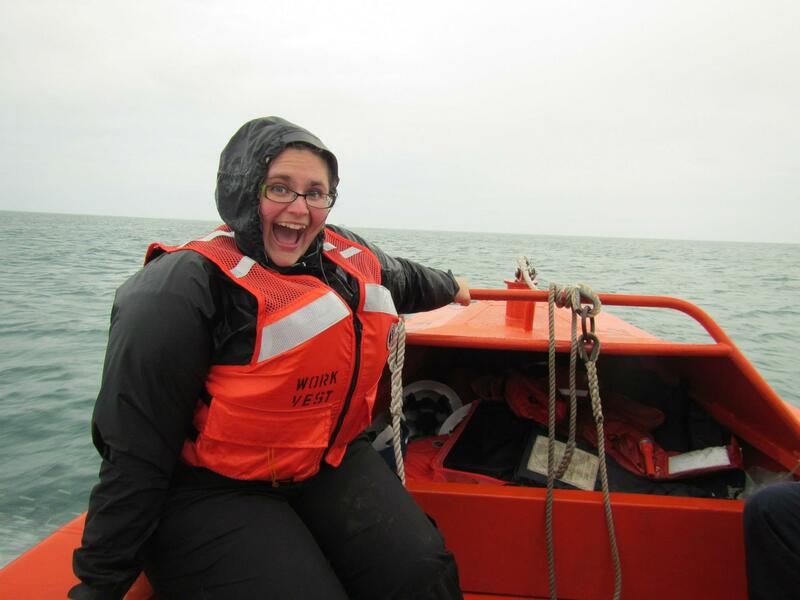 Many of you are probably wondering, what are hydrographic surveys and why is she excited about them? 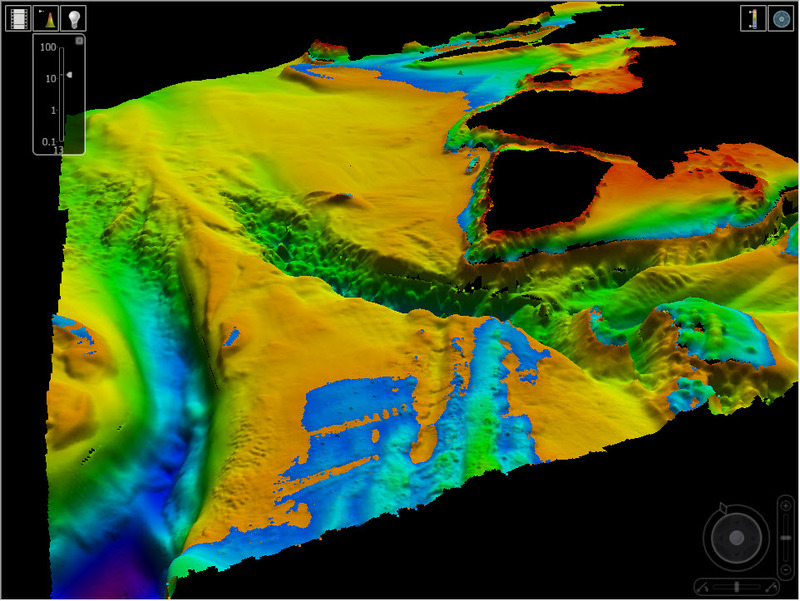 Hydrographic surveys basically means mapping the seafloor. We will use sonar, which is an acronym for sound navigation and ranging. The sonar we will use sends beams to the seafloor and measures the depth by interpreting the time it takes for the sound waves to go from the ship to the sea floor and back to the ship. It also shows lots of details of the sea floor. Click here to learn more about hydrographic surveys and sonar. 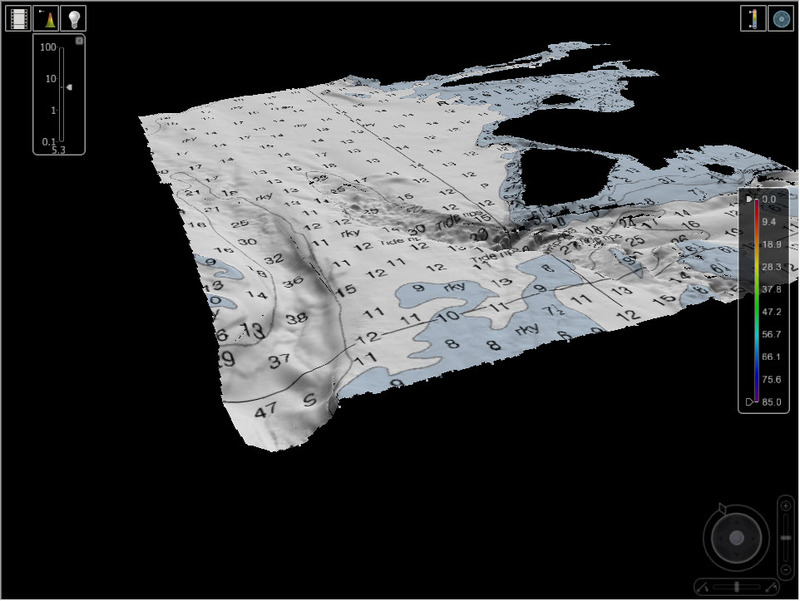 Only a very small percentage (possibly less than 5%) of our ocean’s floor has been mapped this way. 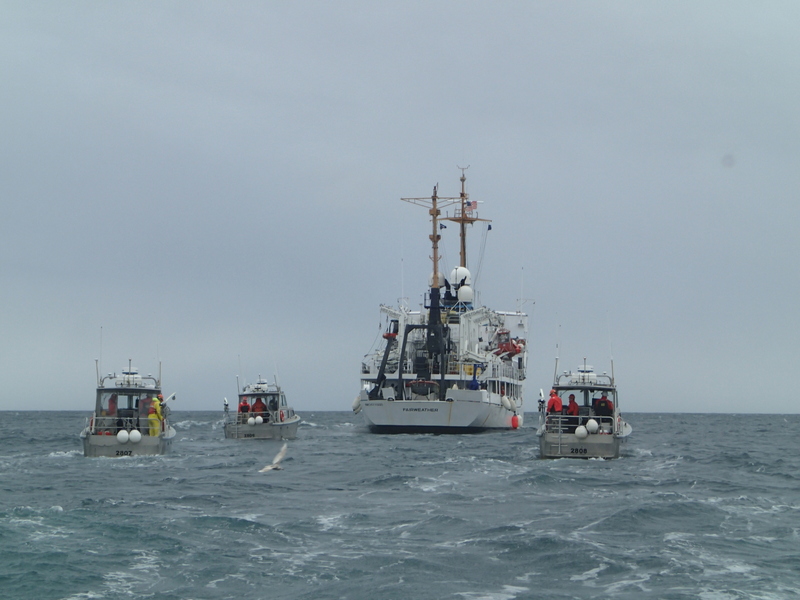 This work is important because we need to know depth for safe navigation for all the fishing boats, oil ships, and recreation cruises in Alaskan waters. We also want to know what makes up the seafloor. For example, when fishermen use trawl nets that go along the seafloor, their nets can get torn up if they are in a rocky area. I will not only participate in mapping the seafloor, but I’ll probably also survey shorelines on a small boat called a launch, go on shore and set a tidal benchmark, and help navigate the ship! I will be on the large ship Fairweather. Stay tuned to my blog to find out what I do each day. NOAA Ship Fairweather with Mount Fairweather in the background. Photo courtesy of NOAA. What am I doing to get ready for my trip? 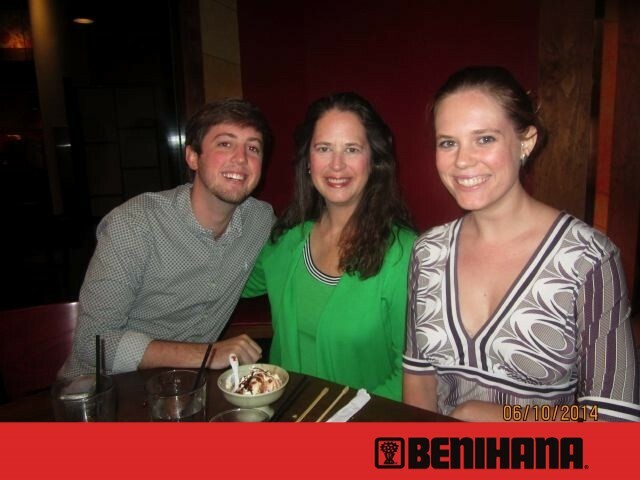 First, I celebrated my birthday with my two children, Christina and Will. Guess where we had dinner! Dana Clark celebrates her birthday with her children before leaving for Alaska as a NOAA Teacher at Sea. I am checking off my packing list and trying to figure out if I will need thermal underwear or not, how to get more storage space on my iPhone, and where my winter gloves are. On second thought, do I even own a pair of winter gloves? I live in Dallas, Texas but next time I post it will be from Alaska! Off in two days to begin my scientific exploration of our oceans and map the seafloor. I’m looking forward to sharing much more with you soon. Question: Most of my students wanted me to see and post a picture of a polar bear. 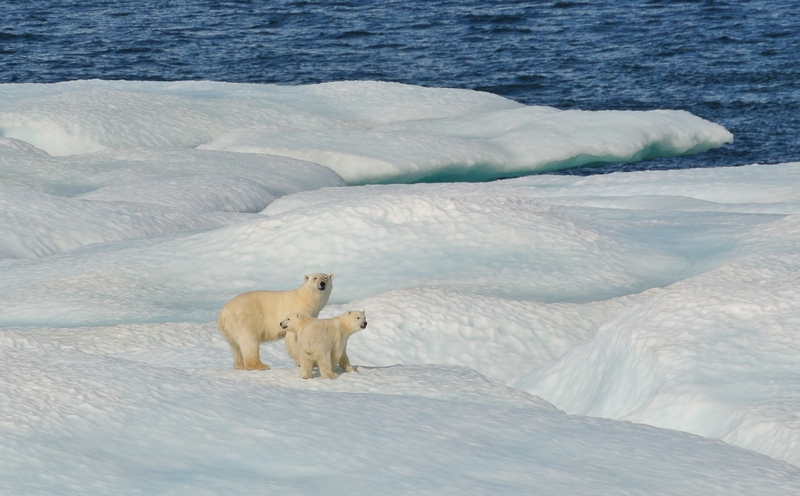 What do you think the odds are that I will see a polar bear in the Gulf of Alaska by Kodiak Island? Let me hear from you below.